This name uses Spanish naming customs: the first or paternal family name is Páez and the second or maternal family name is González. 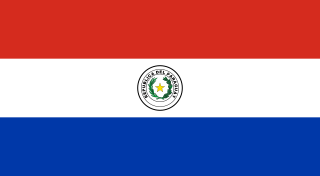 Paraguay, officially the Republic of Paraguay, is a country of South America. It is bordered by Argentina to the south and southwest, Brazil to the east and northeast, and Bolivia to the northwest. Although it is one of only two landlocked countries in South America, the country has coasts, beaches and ports on the Paraguay and Paraná rivers that give exit to the Atlantic Ocean through the Paraná-Paraguay Waterway. Due to its central location in South America, it is sometimes referred to as Corazón de Sudamérica. The 2009South American Youth Championship was a football competition for national teams U-20 who are associated with the football federation CONMEBOL. It was the 24th time the tournament was held and took place in Venezuela from January 19 to February 8. It also served as qualification for the 2009 FIFA U-20 World Cup. Brazil won the tournament, becoming champions for the tenth time. The 2009 FIFA U-20 World Cup was the 17th U-20 tournament, which was hosted by Egypt from 24 September to 16 October, in the cities of Cairo, Alexandria, Port Said, Suez and Ismaïlia. The tournament was initially going to take place between 10–31 July, however the 2009 Confederations Cup was played mid year resulting in both the Under 20 World Cup and the Under 17 World Cup being played towards the end of the year. The cup was won by Ghana after they defeated Brazil on penalties in the final, becoming the first African team to have won the tournament. Tacuary Football Club is a Paraguayan football team, based in the neighborhood of Jara, Asunción. The club was founded in 1923. Despite being a small team that got promoted to the first division fairly recently, Tacuary qualified to the prestigious Copa Libertadores tournament twice and the Copa Sudamericana in 2007. In 2013 it will return to the Paraguayan Segunda División. In the 2014 season the club did not complete a good season and finished in the bottom of the table. Ronald Renato Huth Candia is a Paraguayan footballer who plays for Sarmiento de Resistencia in Argentine. Hernán Arsenio Pérez González is a Paraguayan professional footballer who plays for Spanish club RCD Espanyol and the Paraguay national team as a right winger. Páez joined Sporting CP in July 2007 for a fee of €138.000 and was registered with the number #58. For the entire duration of the 2007–08 season, he was also a member of the Sporting CP U-19 Juniores team where he scored 4 goals in 8 league appearances. Páez was included in Lison's 18-man squad for their 2007–08 UEFA Champions League 2–1 group stage match away loss fixture against Manchester United on 27 November 2007. On 8 December 2007, Páez made his first appearance of the 2007–08 Taça de Portugal in a fourth round 1–0 win match against Louletano. Páez was substituted onto the field in the 79th minute of Milan Purović. Páez eventually debuted in the UEFA Champions League in a 3–0 home victory against Dynamo Kiev on 12 December 2007. Páez was substituted onto the field for Milan Purović in the 86th minute. He debuted in the 2007–08 Primeira Liga in a 2–0 away loss against Boavista on 5 January 2008, when Páez was substituted onto the field for Milan Purović in the 72nd minute. Páez made his first and only appearance in the 2007–08 Taça da Liga (Carlsberg Cup) in a 1–0 away loss to Vitória on 9 January 2008. Páez made his second appearance in the Primeira Liga in a 1–1 away draw against Académica de Coimbra on January 13, 2008. Páez was substituted onto the field for Marat Izmaylov in the 63rd minute of the match. Páez had made a total of 5 appearances for Sporting in all competitions. The 2007–08 UEFA Champions League group stage matches took place between 18 September and 12 December 2007. The 2007–08 Taça de Portugal was the 68th edition of the Portuguese football knockout tournament, organized by the Portuguese Football Federation (FPF). The 2007–08 Taça de Portugal began on 2 September 2007. The final was played on 18 May 2008 at the Estádio Nacional. Having made just two league appearances during the 2007–08 season, Páez eventually spent the 2008–09 season on loan with CD Fátima where he participated in the 2008–09 Segunda Divisão and was registered with the number No. 9. On 24 August 2008, Páez debuted in the 2008–09 Segunda Divisão in a 2–1 away victory against Tourizense, where he was substituted onto the field in the 72nd minute for Miguel Neves. On 19 October 2008, Páez debuted in the 2008–09 Taça de Portugal in a 1–1 draw against C.D. Feirense, scoring a penalty in the 1st minute of the match to give Fátima a 1–0 lead. CD Fátima went on to win the match 4–1 on penalties. On October 25, 2008, Páez scored his first goals for CD Fátima, a double, in a 3–2 away victory against CD Operário. Páez scored a penalty in the 58th minute to tie the scores level at 2–2 and then scored the winner in the 92nd minute. Two weeks later, Páez made his second appearance in the 2008–09 Taça de Portugal during a 1–0 loss against CD Cinfães on November 9, 2008. Páez was substituted onto the field in the 80th minute for Vasco Varão. Páez scored his third league goal in a 1–1 away draw against Monsanto on December 14, 2008. He scored via penalty in the 50th minute of the match to level the scores. His fourth league goal came in a 4–1 away victory, again against Monsanto on March 29, 2009. Páez had scored a 27th-minute penalty to give CD Fátima a 2–0 lead. CD Fátima had finished in first place of their category, Série C, and qualified for the Championship Playoffs. On May 24, 2008, Páez was substituted onto the field for Ismael Gaúcho in the 60th minute and scored CD Fátima's fourth goal in the 70th minute in their 4–1 second-leg semi-final play-off victory against Carregado. CD Fátima won the tie 5–2 on aggregate and progressed to the final. During the final, Páez scored CD Fátima's second goal in the 45th minute in their 2–1 victory against G.D. Chaves on May 5, 2009. CD Fátima gained promotion to the Segunda Liga for the 2009–10 season as Páez had made 26 appearances and scored 7 goals in all competitions. The 2008–09 Segunda Divisão season was the 75th season of the competition and the 59th season of recognised third-tier football in Portugal. Grupo Desportivo Tourizense is a Portuguese football club based in Touriz, Tábua Municipality. Founded in 1975, it currently plays in the Campeonato de Portugal, holding home games at Estádio Visconde do Vinhal, with a 1,200-seat capacity. 2008–09 Taça de Portugal was the 86th season of Portuguese football knockout tournament. The competition started on August 30, 2008 with the First Round and ended with the Final held in on May 31, 2009. The defending champions were Sporting CP. During the 2010 winter transfer window, Páez joined Italian Serie B club Gallipoli Calcio on a 6-month loan period. The transfer window is the period during the year in which a football club can transfer players from other playing staff into their playing staff. Such a transfer is completed by registering the player into the new club through FIFA. "Transfer window" is the unofficial term commonly used by the media for the concept of "registration period" as described in the FIFA Regulations on the Status and Transfer of Player. According to the rules, each national football association decides on the time of the 'window' but it may not exceed 12 weeks. The second registration period occurs during the season and may not exceed four weeks. In January 2009, Páez was selected for the Paraguay under-20 team to participate at the 2009 South American Youth Championship in Venezuela. Milan Purović is a Montenegrin professional footballer who plays for Serbian club FK Radnik Surdulica as a centre forward. Marco António Miranda Tábuas is a Portuguese former footballer who played as a goalkeeper. The 2006–07 Taça de Portugal was the 67th edition of the Portuguese football knockout tournament, organized by the Portuguese Football Federation (FPF). The 2006–07 Taça de Portugal began on 3 September 2006. The final was played on 27 May 2007 at the Estádio Nacional. Jorge Manuel Amador Galufo, known as Jorginho, is a Portuguese footballer who plays for União Sport Clube as a left back. Mário Rui Correia Tomás, known as Marinho, is a Portuguese professional footballer who plays for Académica de Coimbra as a winger. Carlos Miguel Mondim Saleiro is a Portuguese former professional footballer who played as a forward. The 2005–06 Taça de Portugal was the 66th edition of the Portuguese football knockout tournament, organized by the Portuguese Football Federation (FPF). The 2005–06 Taça de Portugal began on 4 September 2005. 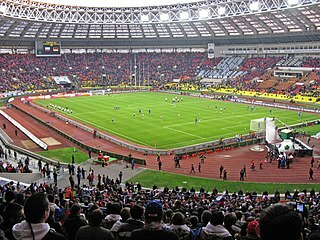 The final was played on 14 May 2006 at the Estádio Nacional. Sporting Clube de Mêda(abbreviated as SC Mêda) is a Portuguese football club based in Mêda in the district of Guarda. Sporting Clube de Lamego(abbreviated as SC Lamego) is a Portuguese football club based in Lamego in the district of Viseu. Sporting Clube de Bustelo(abbreviated as SC Bustelo) is a Portuguese football club based in São Roque, Oliveira de Azeméis in the district of Aveiro. Clube Operário Desportivo(known as CD Operário, Operário dos Açores or just Operário), is a Portuguese football club based in Lagoa in the island of São Miguel in the Azores. Nivaldo Alves Freitas Santos, known simply as Nivaldo, is a Cape Verdean professional footballer who plays for Romanian club CS Concordia Chiajna as a left midfielder or a left back. The 2004–05 Taça de Portugal was the 65th edition of the Portuguese football knockout tournament, organized by the Portuguese Football Federation (FPF). The 2004–05 Taça de Portugal began on 5 September 2004. The final was played on 29 May 2005 at the Estádio Nacional. The 2003–04 Taça de Portugal was the 64th edition of the Portuguese football knockout tournament, organized by the Portuguese Football Federation (FPF). This edition of the Taça de Portugal began on 7 September 2003, and concluded on 16 May 2004 with the final at the Estádio Nacional. The 1995–96 Taça de Portugal was the 57th edition of the Portuguese football knockout tournament organized by the Portuguese Football Federation. The 1995–96 Taça de Portugal began in September 1995 and concluded with the final at the Estádio Nacional on 18 May 1996. 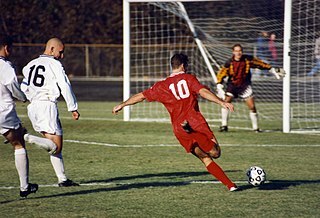 The 1994–95 Taça de Portugal was the 56th edition of the Portuguese football knockout tournament, organized by the Portuguese Football Federation (FPF). The 1994–95 Taça de Portugal began in September 1994. The final was played on 10 June 1995 at the Estádio Nacional. The 1992–93 Taça de Portugal was the 54th edition of the Portuguese football knockout tournament, organized by the Portuguese Football Federation (FPF). The 1992–93 Taça de Portugal began in September 1992. The final was played on 10 June 1993 at the Estádio Nacional. Mama Samba Baldé is a Bissau-Guinean footballer who plays for Portuguese club C.D. Aves on loan from Sporting CP as a right winger or a right back. He also holds Portuguese citizenship. Miguel Mariz Luís is a Portuguese footballer who plays as a midfielder for Sporting CP. ↑ "Luís Paéz :: Luís Fernando Paéz González ::". www.thefinalball.com. 1 2 "En Paraguay falleció el futbolista Luis Páez, en un accidente de tránsito". April 7, 2019. ↑ "Luis Fernando Páez González - Profile and Statistics - SoccerPunter.com". www.soccerpunter.com. ↑ "ForaDeJogo.net - Luis Páez (Luis Fernando Páez González)". ForaDeJogo. ↑ "Manchester United vs. Sporting CP - 27 November 2007 - Soccerway". int.soccerway.com. ↑ "ForaDeJogo.net - Sporting 4 - 0 Louletano // Taça de Portugal". ForaDeJogo. ↑ "Sporting CP vs. Dynamo Kyiv - 12 December 2007 - Soccerway". int.soccerway.com. 1 2 "ForaDeJogo.net - Tourizense 1 - 2 Fátima // II Divisão - Série C". ForaDeJogo. ↑ "ForaDeJogo.net - Fátima 1 - 1 Feirense // Taça de Portugal". ForaDeJogo. ↑ "Portugal Cup 2008/09". www.rsssf.com. ↑ "ForaDeJogo.net - Operário 2 - 3 Fátima // II Divisão - Série C". ForaDeJogo. ↑ "ForaDeJogo.net - Monsanto 1 - 1 Fátima // II Divisão - Série C". ForaDeJogo. ↑ "ForaDeJogo.net - Monsanto 1 - 4 Fátima // II Divisão - Série C". ForaDeJogo. ↑ "ForaDeJogo.net - Fátima 4 - 1 Carregado // II Divisão". ForaDeJogo. ↑ "ForaDeJogo.net - D. Chaves 1 - 2 Fátima // II Divisão". ForaDeJogo. 1 2 3 4 5 6 7 8 9 Color, A. B. C. "El fútbol siempre te da otra oportunidad - Especiales - ABC Color". www.abc.com.py. ↑ "Tacuary vs. 3 de Febrero - 31 July 2010 - Soccerway". int.soccerway.com. ↑ Color, A. B. C. "El "3" empata en el anticipo - Edicion Impresa - ABC Color". www.abc.com.py. ↑ "Luís Paéz". Fora De Jogo. Retrieved 15 July 2015.